POINT GUARD and BIG MEN CAMPS are obsolete! They will become a thing of the past in a few years! There are only two positions in modern basketball. 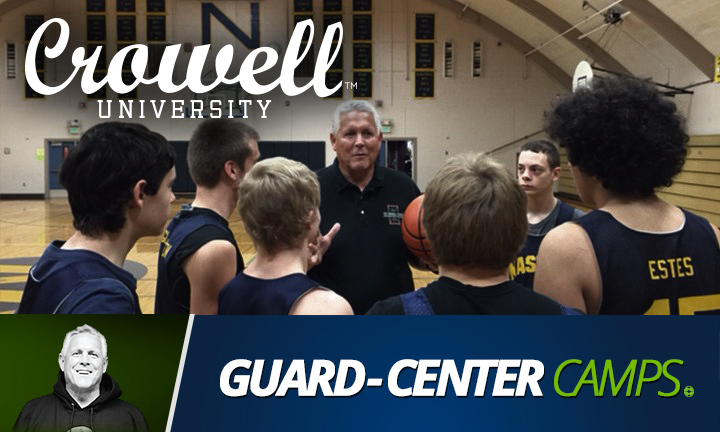 You are either a guard or a forward/center. If you are a guard you must master playing the point and the wing positions. If you play big you are either a power forward or a center. 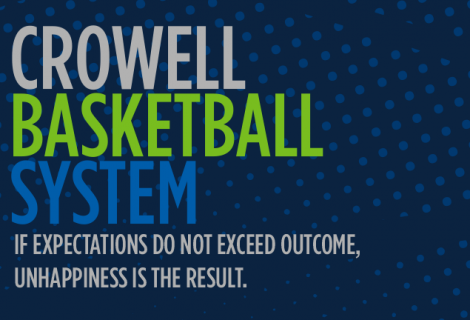 Crowell Basketball University is modern basketball at its best. You are coached to master the art of making your opponent guard you where they don’t want to guard you. 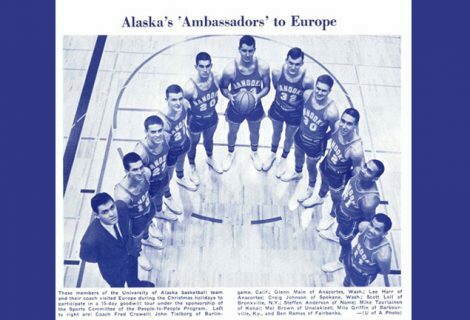 All 10 All-Americans, including 4 NAIA players of the year were PG or Forward/Centers who developed the ability to both score, assist, attack the paint, and run the show. Great point guards can score inside & outside. They can take weaker opponents to the paint, beat any press, and run the show defensively. Point guards deny dribble penetration and defend in the post. Great point guards know how to “spoon feed” the post with excellent passes and “set the table” for the four teammates. Great point guards have sensational EQ (emotional intelligence) skills. The ability to make others perform better is the single most important point guard skill! Point guards will their teams to win! Great post players have three scoring moves that work consistently. They know how to get open, receive the pass, and know how to take advantage of their opponent. The best ones can also dribble, pass, and shoot! Great post players can defend and rebound the basketball. They are true warriors of the game. Strong, dominant EQ’s are vital to playing the post. Crowell Basketball University is the best point guard & post play camp because it is based on over 50 years of basketball coaching experience that supports the concept: point guard camps combined with post play camps provide the most effective environment to learn either or both positions. Crowell’s point guards present a scoring threat on every possession because they master the art of attacking the basket, making the mid-range jumper, and being a 3-point threat. Most of all, they place high value on taking care of the basketball. Ideally Crowell point guards score an average 15 points per game, yet lead the team in assists and fewest turnovers! So PG’s can be scorers like Steph Curry, but look at his assist average and assist/turnover ratio! A PG can be accountable for upwards of 75% or more of the team’s scoring through shooting, driving, creating tempo, lead passing, interior passing, ball distribution, and play execution! Crowell’s point guards are masters of EQ. Effective point guards are on court assistant coaches. Great point guards are students of the game and masters of encouragement and love hard work. Making each player a better player and a better person is at the top of Crowell’s job description to play PG. Crowell’s post players learn to be warriors with a mental toughness equal to any task. A never quit attitude and a relentless pursuit of winning are core to post play. Rebounding and defensive play are critical skills in the Crowell Basketball System. This means knowing rebound concepts, prevention of entry passes to the post and ball denial is critical. Three “pet” scoring moves make up the offensive foundation for Crowell Basketball. Great defenders can take away two of the moves but not all three. These moves must become as skillful as an adult uses the knife, fork, and spoon at the Whitehouse dinner with the president and his cabinet. Post players should develop a skill set which demands a double team. By being able to score one-on-one, they understand how to distribute when defenses are forced to double. Post players can score inside out and drive slower opponents. They run the floor and are masters of offensive rebounding. Together, a Point and Post master the screen and roll when isolated on one side or in the center of the court. They understand how to force defenses to break their normal assignments to help stop the ball. Crowell Basketball University is the best camp in the world to learn how to play the point and the post. If you do all the drills and give your very best effort, Coach Crowell will refund your tuition (not lodging and meals) if you are not satisfied. 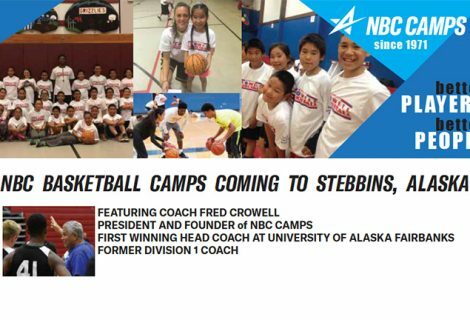 To register for camp go to nbccamps.com or call 1-800-406-3926. The Crowell Seal of Excellence.